The online education market has exploded in recent years. You can learn pretty much anything online now and even earn a real degree. 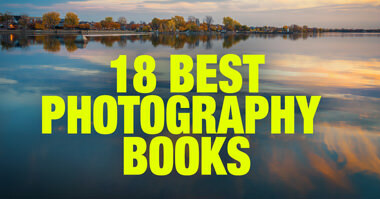 Photography is no exception. 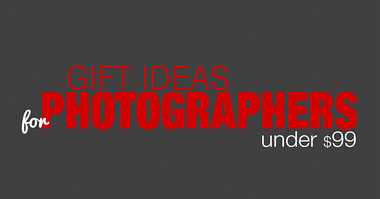 Today, photography education is more accessible to people than ever before. Even for my photography business, education is an essential component. But, when Chase Jarvis launched his new project called CreativeLive, it immediately caught my attention. If you are not familiar with Chase, let me give you a brief introduction. Case is one of the most successful commercial photographers of our generation. He is an entrepreneur and educator. I’ve been following his blog for years, which was and continues to be a valuable source of inspiration, business information and education. What made Chase and his blog so popular among the photography community is his approach to sharing everything he does. These days, it is normal when photographers share behind-the-scenes information and details about their business, shooting techniques, editing tips, etc. This was not the case 10 to 15 years ago. At the time, the photography community was a pretty secretive bunch as every photographer tried to keep his professional “secrets” to himself. Chase was a pioneer in changing the culture by sharing nearly everything he could about his equipment, his techniques and his business. I highly recommend following his blog, and his video channel. I also want to share with you my favorite photography-related interview. A few years ago, Tim Ferriss interviewed Chase for close to 90 minutes. The interview was eye-opening for me in how I perceive creativity in photography and the business side of it. If you do not have time to watch the entire interview, check the segment starting from 59:00 where Chase explains the business model behind CreativeLive. Today, Chase’s CreativeLive project is much bigger than just a photography educational platform. It has business, design and video sections but, by far, photography is still the biggest part of the project. These days, you can not surprise anybody with the releases of new new educational platform. But CreativeLive has a very distinctive model. First, they broadcast their classes live and, most often, in front of a live audience. Second, it is free. 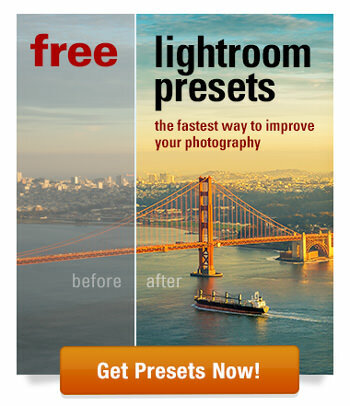 That’s right—absolutely free! Third, it has a social component. You can interact with the teacher and students during the live broadcast by posting questions and comments using the CreativeLive platform. They use the unconventional “freemium” business model. The live broadcast is free, but if you want to follow any of the courses at your own pace, you must purchase the course. Plus, with the paid version, you get source files, learning resources and access to private Facebook groups. If you cannot afford to purchase the course at full price, you can dedicate enough time to follow the course during the live broadcast. This is free. 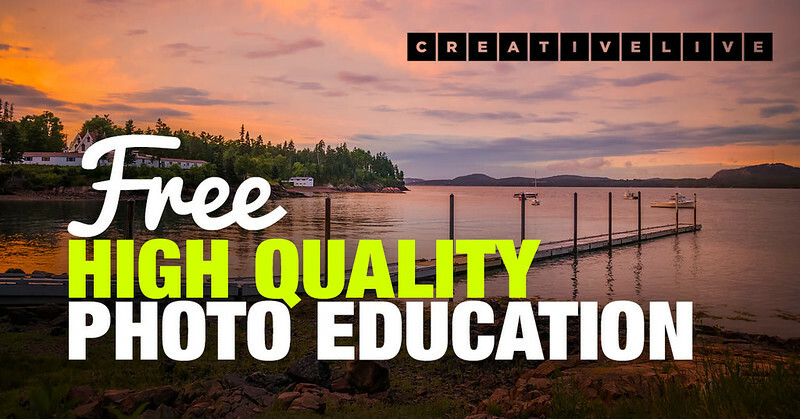 If you are looking for a great course to purchase, CreativeLive gives you an incredible opportunity to test drive the course to see if you like the instructor and format before buying. Live Broadcast. As I mentioned before, when a new course is released, it is broadcast live for free. There is no limit on how many students can join and you have the opportunity to interact with the presenter and the audience. Rebroadcast. 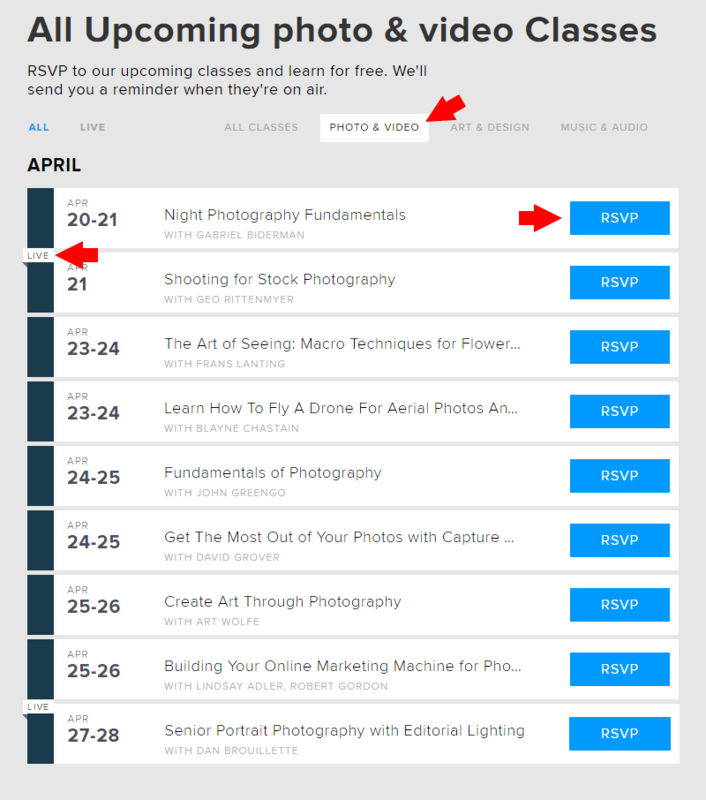 Occasionally, CreativeLive rebroadcasts previously released courses. The goal here is to introduce new audiences to older courses. This is still free but there is no live interaction during the rebroadcast. Courses from Catalog. You can purchasse any course that was previously released. You can watch it online or download it to follow the course offline and at your own pace. In general, I find that the quality of the courses is good, but it does vary depending on the personality of the instructors and their teaching styles. I believe that with the model CreativeLive employs (allowing students to test drive the learning material before they buy) requires them to keep the quality of their courses at a high level. Here is the example of the paid version of Travel Photography ﻿Collection by two well-known photographers and educators Ian Shive and Ben Willmore. Go to the CreativeLive website and select the ON AIR option from the top menu. Scroll down to the All Upcoming Classes section and activate the Photo & Video filter. If you see a LIVE label next to the date, it means the course will be broadcast for the first time. The rest of the courses are rebroadcasted. Use the RSVP button to enroll for free. Good luck and good learning.